Ask your consultant about fantastic pre and post touring in Singapore or Darwin. Enjoy your time aboard Pacific Dawn cruising through the highlights of South Asia. 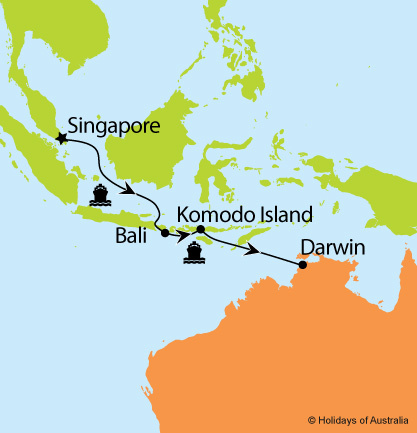 Book a shore excursion during your stop into Komodo Island.